The falls on the Metis River have a natural beauty that is undeniable. 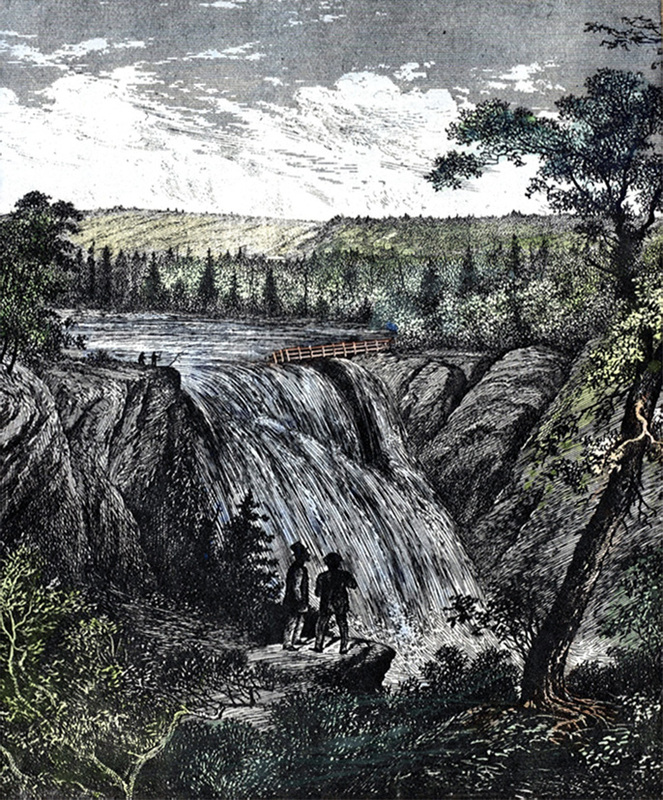 For decades, the falls were a local tourist attraction. While not quite in the range of Niagara or the Montmorency falls, at almost 100 feet in height they were a natural feature of remarkable beauty. When the Intercolonial Railway was built, photographers working for the railway captured the falls for posterity. Their images became the basis for engravings that were published in popular magazines of the day. This encouraged visitors to make the falls an obligatory outing in the summer calendar. 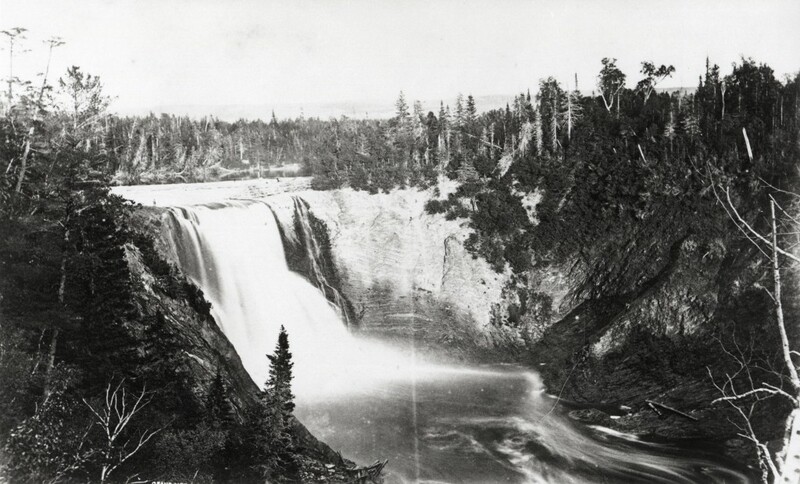 George Stephen purchased the falls when he bought the Metis River in 1886. Although several engineering plans show that he examined the possibility of erecting a dam for hydroelectric production, he never went forward with the project. Soon after being given the river, Elsie Reford was presented with a project for the development of the falls. She sold the power rights to local entrepreneur Jules Brillant, who built a dam and the first power generating turbine. 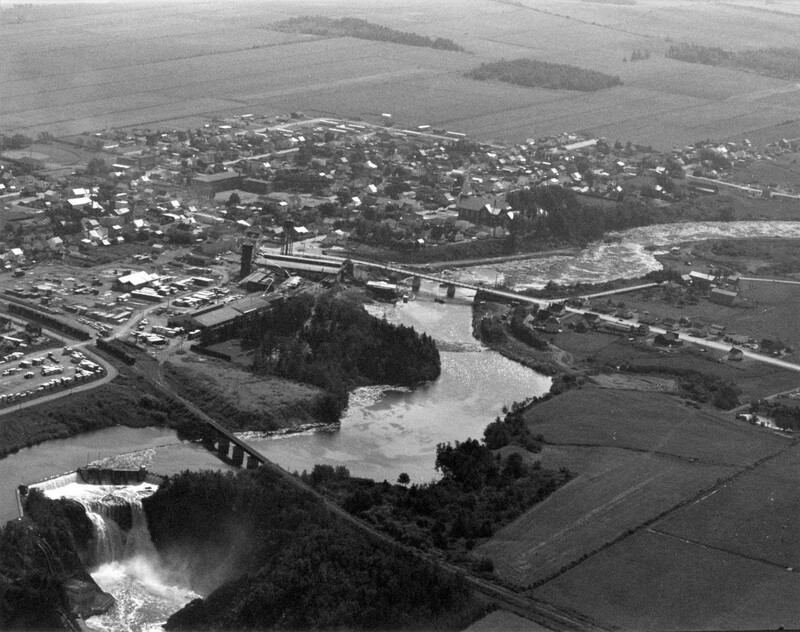 The dam contributed to the economic progress of the region, but resulted in the loss of the natural beauty of the falls and put an end to their being a favoured picnic spot.